Injection mold maker and plastic injection molding supplier in China - TSY Molding Limited : injection molding supplier, China mold maker, unscrew mold, over mold, plastic product co-design from concept/prototype to your actual sales in global markets. Sustaining customers satisfaction through Quality Assurance and Reliable services. Please see what people are saying about us. @ The client really liked the T1 samples. ​ All perfect and can launch the batch production accordingly. I love TSY Moulds !!!!! Thank you so much for all the fantastic work you made with first shot (T1) sample of me personal on site for export shipment aproval. @ - Good morning, I have no new RFQs at this time...I will let you now when I do. On a different note, we sampled the PW Pod and the parts look pretty good. ﻿@ -We are very appreciative of your efforts on this project. You are a great partner to work with. Please extend our “Thank You” to your team. Nice job! @ -Great Works! First shot samples look good and everything fits. @ -Thank you for your good work last year! You were always very helpfull and responded positive to my querries. For that, I am very thankfull! Lukas Liska, Technical Business Development Manager / Enviteam spol. s r.o. @ -Thank you for meeting the other day and Gantt chart showing your process progressing. Also looking forward to further opportunities to expand business wth you. - Thanks for effort to put forward the first shot schedule. @ -Mold is approved to ship. Please release to the shipping company. compliment you for the quality service and support you provide that other companies do not ! Thanks again !!! - Thanks for your help and support, this is encouraging. As I have said many times,you (you personally, SY. Tang) have been my most important ally and support in China, since I started doing this business. - Thanks for a job well so far, everyone appreciates the effort!!!!!!!! - Alert molds ran great and fantastically. Thanks for a great job. Nicely done, thanks! - The solutions are helpful and educational. - This is one of the reason I appreciate working with you; you make me think and learn. - Your immediate action of tool design completion overnight is very appreciated. Thanks also for your price discount. @ - I would be glad to have you use me as a reference. Have him call me or e-mail me at his convenience. and he has always delivered on time. He has always kept me updated on the mold progress. Please let me know if there is anything else you need to know. real pleasure to this point. -Thanks again for your outstanding communication and patience. appreciate both! Regarding the tool design first, I think it looks great. proceed and thanks for working this solution out. communication is also very helpful. with such helpful ideas and information. SY and I go for decades. -Now that was a nice tool build! -It has been a pleasure working with you! -Thank you again for the great job in short order on these tools, awesome as usual! -I just love the job you did with the wheel thus far, just a great effort all around. -Please thank all involved that helped knock out this set of designs so skillfully and fast! @ -I want to thank Gerry for the introduction to you & your company. - 2nd shot samples looked excellent. Thanks for your diligence with these fixes and improvement. rules. Thank you for being so cooperative. Your efforts were very appreciated by management. - Sure, no problems. I'll give you a good customers' reference. Pls have them to contact me. @ It's very nice to hear from you. Thanks to Jamey (Means Engineering) for making the introductions of your factory to me. @ - As far as I am concerned the process, design,communication, efficiency have been everything that IMS is looking for to date. We definitely would like to continue the relationship between companies. - Nice job SY. Thank you very much for your efforts. Very much appreciated. - We are quite pleased with the plastic injection molds you have done for us in the past and we hope that we can continue this relationship. our gratitude to your engineers and hopefully we will get going on this program without any more craziness. Again, thank you so much. - Thank you for sending the mold CAD models and drawings. We appreciate all of your help and the tool is running well. next week or so. Keep up the good work. - We really want to do more work with you, you do nice work. - You are welcome to have your customers call me for your company reference. very good. I’m hoping that you can quote and build this tool for us. - Our FAI report is good. I approve the release of the tool. Can you help to arrange air shipping the tool back to us? We are very appreciative of your efforts on this project. You are a great partner to work with. Please extend our “Thank You” to your team. Nice job! @ The first shot sample of mounting plate looks very good. No changes needed. location. Other than that, everything looks good. Thank you for your quick response. Good job! @ - Thank you for the quick turn on the quote. Your price looks great. - Here is purchasing order.We are back in business again!!!!! Small job, but it is a good start. and on time delivery reference. 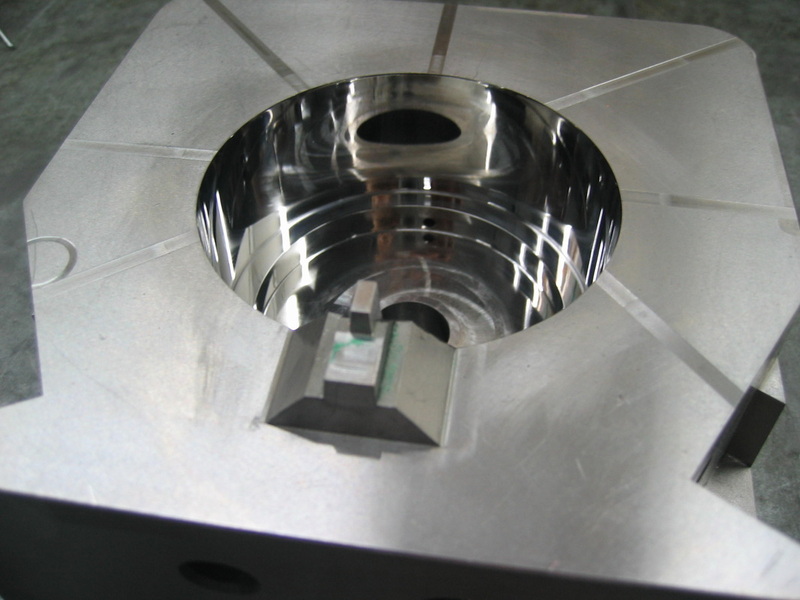 - The plastic injection mold tool design looks very good.The design is approved of steel ordering and cutting. @ - Generally speaking, your quote is of interest and we would like to schedule a time for a call to discuss the details. and we would like to order some tooling from you. -SY, we have had a good experience in working with you, and appreciate your helpfulness, and we would be willing to order more tools. We are currently designing two more products and will send the CAD models once those designs are complete. Matthew J. Ervin,President, CEO / MedicaSafe , Inc (California , USA). @ Thank you very much for your highly encouraging feedback.. Cad data are modified in accordance with the basic modification principles in the files you sent us earlier with respect to thickness and drafting. - Everything is good and the color is just fine. Go ahead to the next step and keep up the good work. and technical engineers team for precision mold making and molding. - I have quoted a project with demands an unscrewing device and I recall you have good experience about it. Benjamin Nevarez,tooling technical support leader / Strattec de Mexico,S.A. de CV (Chih , Mexico). @ -Your quote was competitive. Thanks. Jones, production manager (Utah , USA). @ We checked the presentation with all the info we give to you and we find everything fine according with we were asking for. approach to-date and for keeping is on truck. It is very appreciated. -Many thanks for the diligence and promptness in submitting your pricing for the above projects. We are indeed impressed and grateful to you. -Fantastic, do very much appreciate you pushing this along. some more work with you. Many thanks!!! -Many thanks for your prompt action on this. I have to say it is outstanding. -I am very happy to introduce and recommend you to them as they may have need for tooling of other components. - I am very happy for you to submit invoice for 1st shot. You deserve it. I really appreciate the effort you have made on our behalf. Please send through. Many thanks. - You are a legend, many thanks. Kindest Regards & Appreciation. I'll give you a good customers' reference. Pls have them to contact me. Peter McKinnon, Managing Director / Rotacaster Wheel Limited ( NSW, Australia). expertise and trust it will be addressed accordingly. - We ran your factory provided first shot sample today. We are very happy with the result. Many thanks Sy, your professional assistance is much appreciated!!! Claus Seitz Operations Manager / Rotacaster Wheel Limited ( NSW, Australia). @ -We appreciate your immediate and effective response. -We have just received the plastic spring seats 1st samplings.The first impression is very good! - I was not aware of that and thanks for your reminding. So Aluminium is not ideal for the wear with the ejector movement. machine parameters used for this run. appreciated your support and hope we can continue our business and personal relationship in the coming year. - I wish you all the best and a good health in 2013!!! @ -Super and many thanks. Really many thanks for your update information. -I am very happy as it works perfect. -We checked and we accept your mold flow report. The invoice will be paid today.Many thanks. -Thank you for your tool making progress report. You do the job very well. - Many thanks for your support. - I send you photo of samples items TVK-TVC LH/RH – first order. It looks good, thanks! - Quality is very good. Thank you. -Many thanks for revised quotation. I hope we get the order in September and collaborate together again.I shall do my best for mutual success. @ - Thank you Mr Tang for your willingness and helpfulness, I gave date 25.6. Know the DHL Global slovakia. In case I have another job, I'll work with you further. Thank you very much. - With our past co-opetation, I was satisfied. I have a new job order for you. - Products from you has already arrived in Slovakia. Thank you very much and for your precise work. Dipl.Ing. Viera Líšková Výrobnotechnický riaditeľEnviteam spol.s r.o.(Slovensko). @ About your factory, up to this time, I can say : all positive (excellent quality,delivery,support, etc). with future RFQ's as they become available. @ For your first shot samples.,after all the tests we have carried out, we are happy with the results obtained with the samples of the enclosure. (Almost) all of our expectations have been met. Thank you for your great support and positive reply. Regarding two first points, we're glad to know you're going to modify the design accordingly. The result of modifications is satisfactory, and now it fits. I 'm glad to say that the enclosure samples are totally OK for our product. Thank you for your effort. Soon, Sergio Reyes will put an order for a batch of thounsands of enclosures. Thank you again. "We are very pleased of how was the development of the previous mold. In our opinion, the Company is very professional and helped us a lot to make the project a success. We have not received any complaint from the injected boxes till now. We definitely would like to work with them if we have any other opportunity. Unfortunately, we do not have in mind new orders but we believe that we may have new injections of the same piece throughout the year"
@ Thank you for your follow-up. The project is currently on-hold, rather than us using another supplier. However,if or when I bring the project back on line, I would expect to use your factory, as I was impressed with the work you did. - You guys are great! Thanks for pictures of tooling update. - Thank you again for your most professional help with all things business related, and your generous hospitality. I really enjoyed my trip, to spend the time with you. - You company made all the test shot samples smashed before disposal. All the information you received from me is treated as confidential no matter signed agreement with me or not. I am confortable with new project development to be done with confidentiality. -I would be glad to have you use me as a reference. Have him call me or e-mail me at his convenience. -As always you exceed expectations. Thank you very much for arranging everything. -People here are very impressed with design and quality of the enclosure. always very good! until the whole things of this project finished. was patient,courteous and quite knowledgeable. He led me through all that I had to acquire requirements. They told me that they do believe that you will make the best molds. -Thank you for your prompt delivery and your strong support! Thanks! -The Split Core Case has been approved by our customer, thank you much for your effort and good job! -I'm happy to inform you that our customer have approved the Big GF Shell mold modifications from the samples you sent, thank you for your excellent work! than the other. So I would prefer to give molds to you now and in future. - I am glad to hear such positive comments from one of your clients. - I am happy with your first set of 4 toolings in terms of quality, good technical support, commitment on time. They are all now in perfect production. I am going to order you another projects of 2 toolings today. -Great!!! Thanks for your quick actions in tooling modification and with a nice job.